Read the latests updates from TechGirls and see how they are Creating A Legacy in their communities. 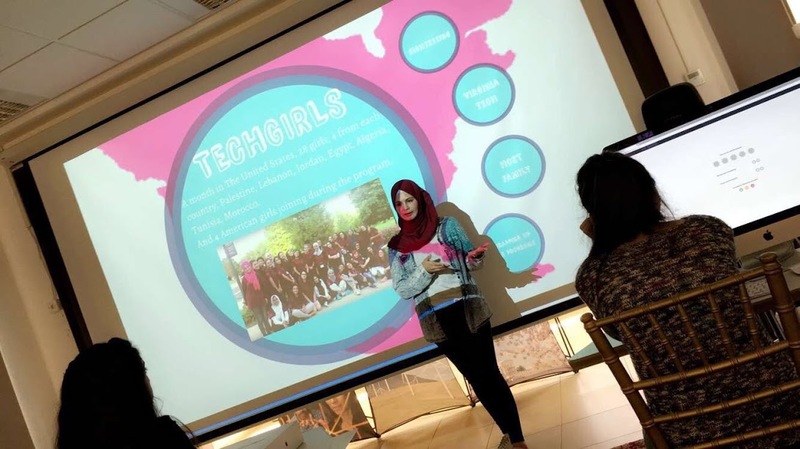 Ons decided to introduce more Tunisian Teens to STEM by continuing the mission of Mrs. Faten Khalfallah, TechWomen 2015,. Ons will be continuing her summer camp for design for a 3rd year. Go Tech is an international summer camp that is going to take place in Kerkennah Island, Tunisia, from July 2-6, 2018. 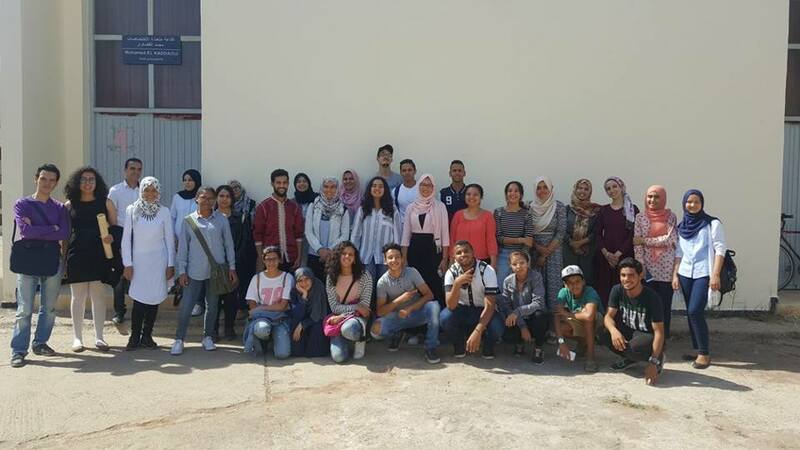 This camp will bridge the cultural differences by bringing together 40 youth (35 Tunisian – 5 VIPs) aged between 12 and 18 years old and from Tunisia, USA and Algeria. Students will be given the opportunity to explore the latest trends in tech while developing their soft-skills, learning to work as a team and building projects in STEM. Ananya Moorthy, US TechGirl 2017 will be partnering with Ons in the camp by providing virtual help with the Java course. Ananya will join via Skype in the camp. Saja is teaching MIT AppInventor in her CodeGirl initiative targeting young girls 14-17 years old who are interested in technology, programming and coding. The workshops are held in America House Jerusalem with the help of mentor Rami Nasser Al-Dein. CodeGirl is a 5-month training divided into 20 sessions (40 hours). Saja will teach six sessions and then assist students as Mr. Rami teaches html and Arduino. 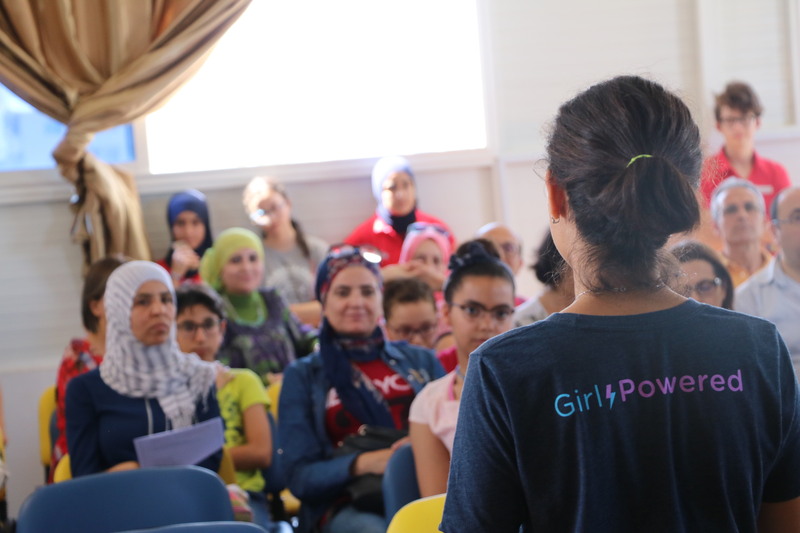 After TechGirls, Yasmina became the president of the science club at her high school. She created a Java script workshop that has been running for 4 months. She is also running a summer tech camp for teens in July 2018. Yasmina continues to take Java Script classes online and in fall 2018 she will attend a university in Hungary to study computer science engineering. Read more success stories of TechGirls in action!